Health information technology is a complicated space. 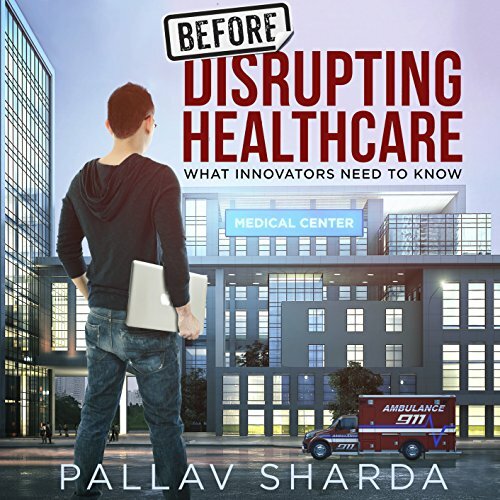 Before Disrupting Healthcare provides a quick introduction to its foundational concepts and products with a look into emerging trends that may rule the future. In it you'll learn about topics like electronic health records, health information exchanges, accountable care organizations, and meaningful use regulation. Discover what they mean from a product perspective and how things might evolve. This is a must-listen for anyone working on, or investing in, health information technology products. Outsiders can use this audiobook to become insiders, and insiders can become experts. I am a Big Data Solution Architect who has decided to utilize his skills to improve healthcare. I found this book extremely useful to learn the healthcare terms, acronyms, problems as well as main existing software solution providers and their challenges. A must have guide for health IT entrepreneurs. Pallav is a doctor, a tech post graduate and an MBA. He has extensive experience in the space of health IT through his career and interest. The book is very entertaining, there is no dull moment. It covers the generics very well. There is no topic that is left unanswered. Eral has a great voice, he makes good of Pallav's work. thoroughly enjoyed listening it him. I have also purchased the Kindle version on this book. The reader was chewing on gum the entire book making it almost impossible for me to listen.